LOS ANGELES, CA (September 22, 2015) – The Youth Policy Institute (YPI) announced today that it will partner with education technology firm Hobsons to provide low-income and first-generation students in Los Angeles with access to digital college and career planning tool Naviance to discover their interests and strengths, understand the connection between academics and career paths, and create postsecondary education plans. A growing body of research from institutions that include Harvard, Princeton, and the University of Michigan, has found that measures of “college match”—including academic fit, affordability, size, and culture—have a significant influence on a student’s likelihood to complete college. But with a nationwide shortage in school counselors, particularly in low-income neighborhoods, counselors and students often lack the resources to support college planning and exploration critical to finding the right match. The initiative is funded through the U.S. Department of Education’s Promise Neighborhood grant awarded to YPI, which serves the Pacoima and Hollywood communities. For the 2015-2016 school year, the program will be implemented in five of the 10 high schools located in the Promise Neighborhood, including STEM Academy, Apex Academy, as well as those on the campus of Cesar Chavez Learning Academies—Teacher Prep Academy, Social Justice Humanitas Academy, and ArTES. YPI plans to rollout Hobsons’ Naviance program in additional high schools for the following school year in 2017. Since 1983, YPI has been working to reduce poverty in L.A. by ensuring that families have access to high-quality schools and providing social and educational services that allow students to pursue college. 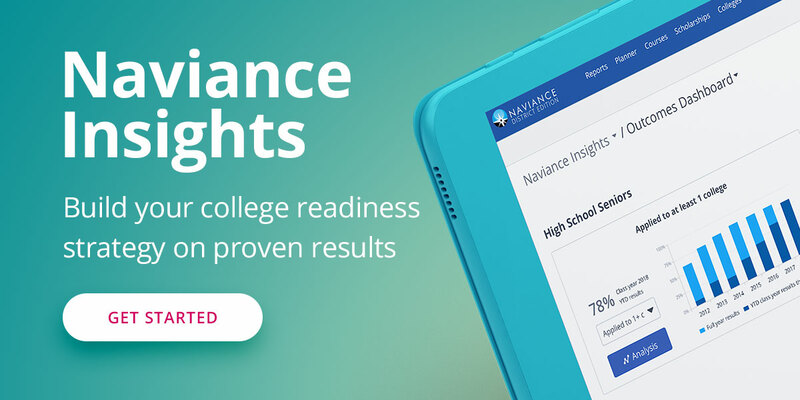 The technology platform, Naviance—used by nearly 9,000 schools and districts in the United States—enables school counselors, community workers, and parents to work together in supporting students in their college exploration and planning. Youth Policy Institute has been providing wraparound services to low-income families in Los Angeles since 1996 and is the only agency in the country to have been awarded all four of the Obama Administration’s Neighborhood Revitalization Initiative’s programs: Promise Zones, Promise Neighborhoods, Choice Neighborhoods out of the Department of Housing and Urban Development, and the Byrne Criminal Justice Innovation Program out of the Department of Justice. Together, these initiatives form a place-based approach to fighting poverty, reducing crime, improving educational opportunities and creating access to jobs that builds on YPI’s decades of history helping youth and families. For more information, visit www.ypiusa.org.